Henry David Thoreau described the mats of Polypodium virginianum gracing rocky surfaces in early spring as “fresh and cheerful communities". The blade of this rock fern has a leathery texture and is deep green on both the upper and underside surfaces. Usually positioned in rows on either side of the mid-vein are the round, pale brown sori. 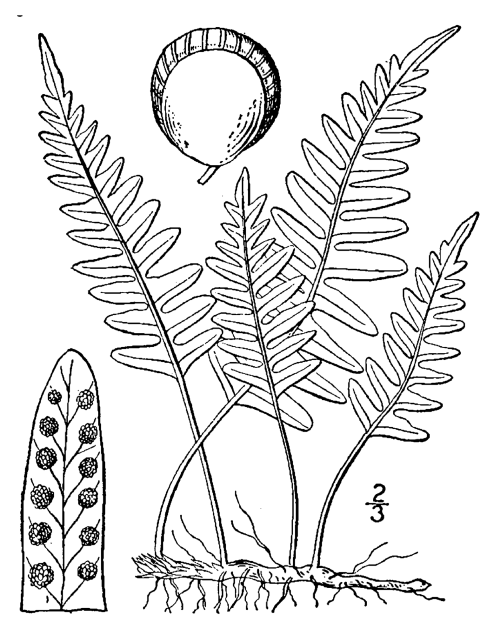 The blade of this rock fern has a leathery texture and is deep green on both the upper and underside surfaces. Usually positioned in rows on either side of the mid-vein are the round, pale brown sori. 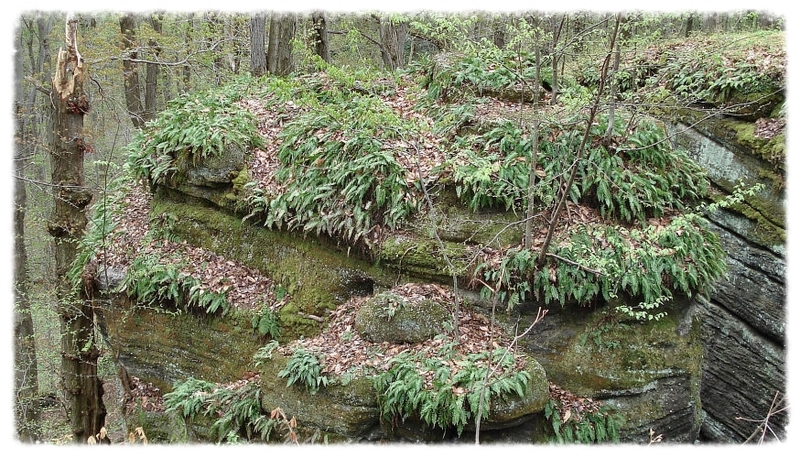 Henry David Thoreau described mats of this fern gracing rocky surfaces in early spring as “fresh and cheerful communities". How to Know the Ferns: A Guide to the Names, Haunts, and Habits of Our Common Ferns, Frances Theodora Parsons, 1899.
p. 184 (PDF version, page 218). ... the plant has a charm peculiarly its own, a charm arising partly from its vigor, from the freshness of its youth and the endurance of its old age, partly from its odd outlines, and partly from its usual environment, which entitles it to a more ready and universal recognition.
" 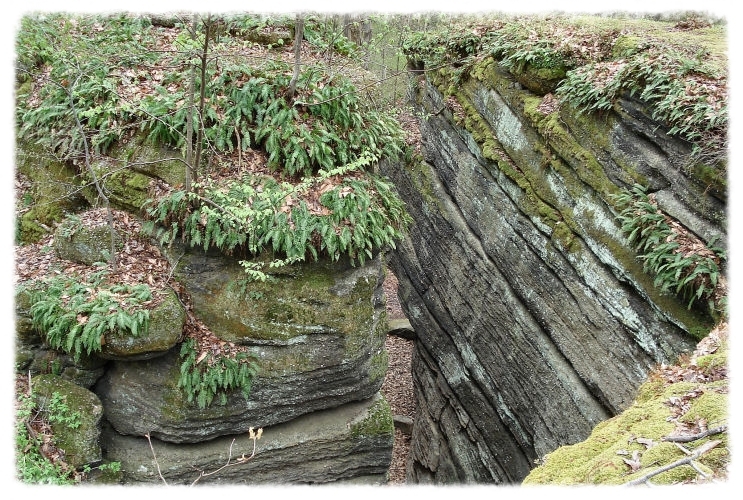 The cheerful community of the polypody," as Thoreau calls it, thrives best on the flat surfaces of rocks. I recall the base of certain great cliffs where the rocky fragments, looking as though hurled from above by playful giants, are thickly covered with these plants, their rich foliage softening into beauty otherwise rugged outlines. Usually the plant is found in somewhat shaded places. Occasionally it grows on the trunks of trees and on fallen logs, as well as on rocks and cliffs.